As far as New Year's resolutions go, getting in better shape is always at the top of the list, and we have a feeling that a couple of new workout jackets might just give you the push you need. Since the temperatures are lower at the beginning of the year, wearing a tank and leggings isn't going to cut it. Instead of throwing on an old hoodie or college sweatshirt, we recommend you opt for one of these stylish workout jackets. Ahead, we rounded up the fashionable yet practical pieces that will be the cherry on top of your go-to activewear look. Whether you're on the hunt for something more forward or a classic piece you can wear for years to come, we guarantee you'll find what you're looking for right here. 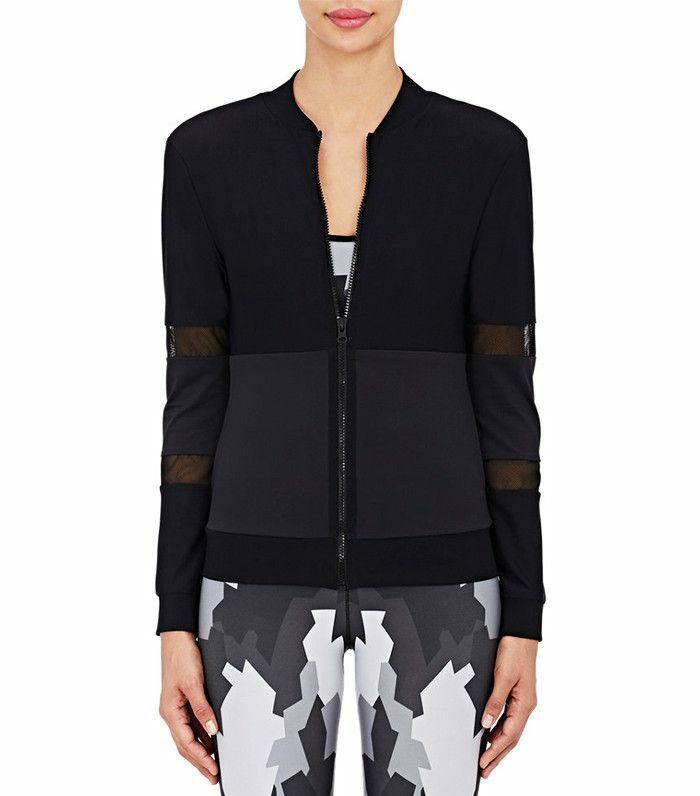 Keep reading to shop the workout jackets we are loving right now! These mesh panels add an edgy touch. For those mornings when you're feeling bold and bright. This brand can do no wrong in the activewear department. The Activewear Trend Anna Wintour Calls "Ugly"
The fashion-girl way to wear camo print. Show off your favorite sports bra underneath this piece. A simple and classic piece you'll wear on repeat. How comfortable does this look? Break up an all-black workout look with this soft gray jacket. Shop more workout-ready outerwear here!